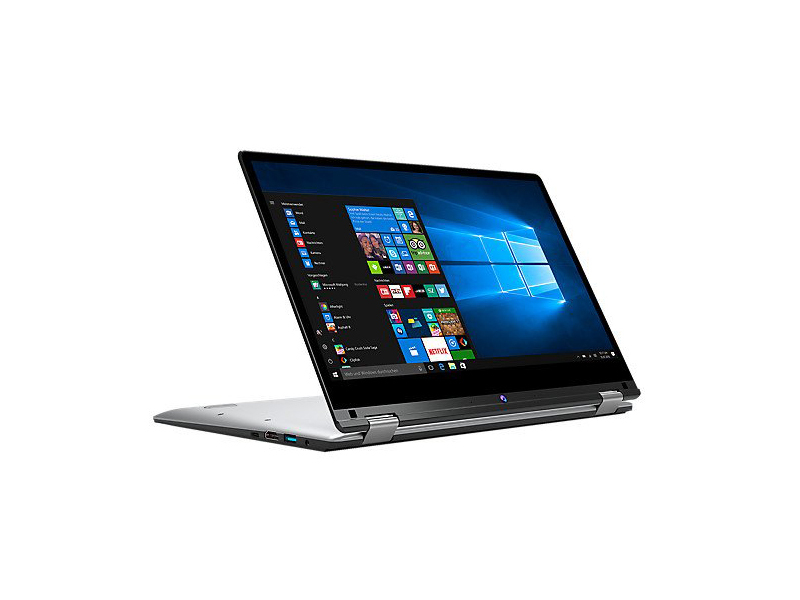 Model: The Medion Akoya E3216 notebook, also known as Aldi Convertible is a convertible that offers a very good price-performance ratio. It is manufactured by Medion, which is a German consumer electronics company. 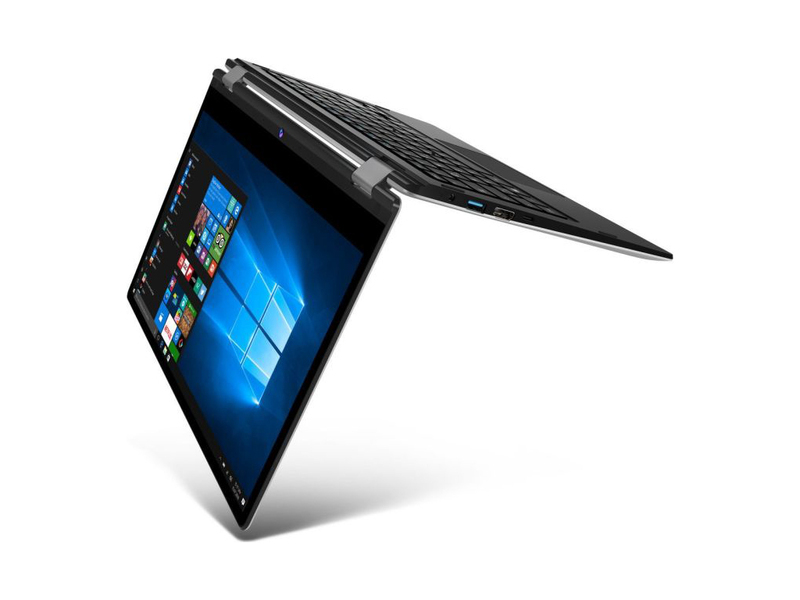 The convertible measures at 19.9 x 315 x 215 mm and weighs 1.5 kg. This weight is typical for convertibles. 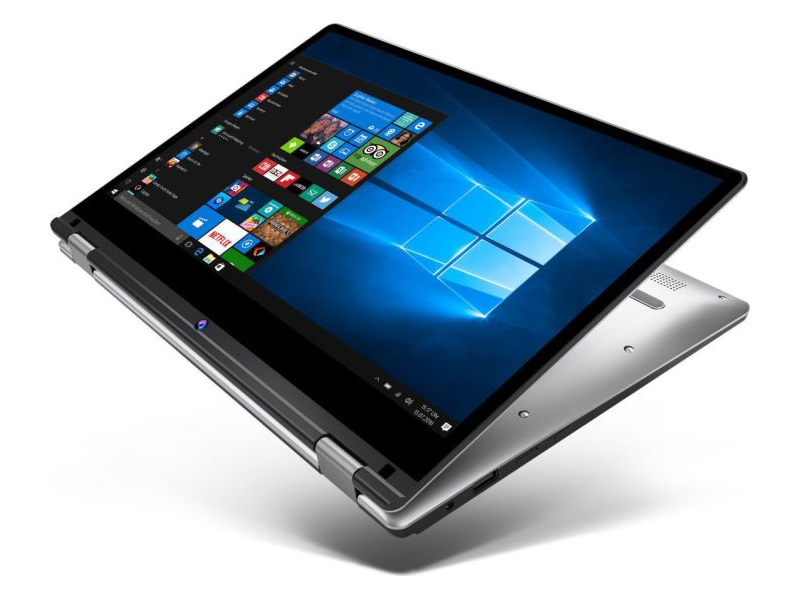 The case workmanship is on a good level even if the display hinge is not always locked properly, which is a problem which can also occur with other convertibles, and other manufacturers. 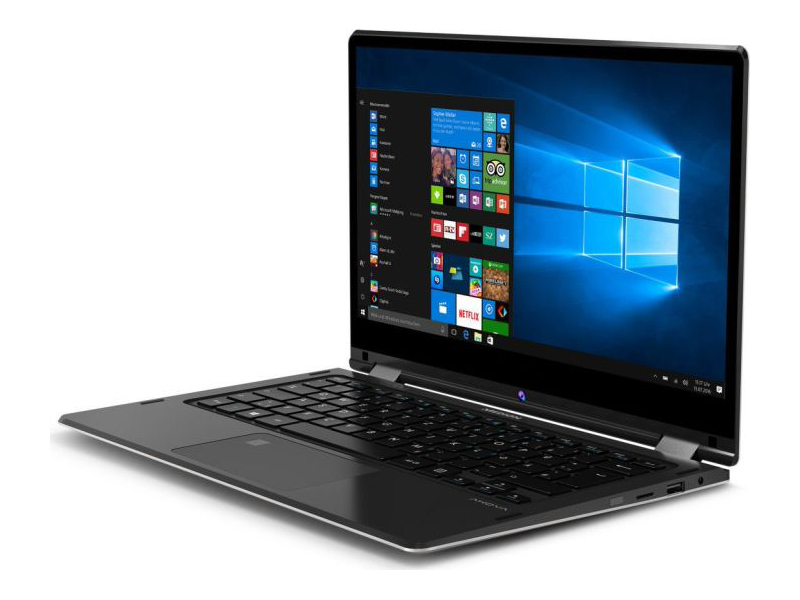 The 13.3-inch Full HD display of this notebook hybrid is the shining highlight that is second to none in its class. With a maximum brightness of 308 cd/m² and a good checkerboard contrast of 196:1, it is a decent display that can deliver bright and vivid display. The sRGB color space coverage is also very good at 91.5 percent. In the field of multimedia, there are stereo speakers with HD sound and Dolby audio technology. A webcam with HD optics and a microphone are housed in the frame. A fingerprint scanner contributes to the security of the data. The power supply of the Medion notebook is via the 2-cell 37 Wh battery. It offers a battery life of up to 6 hours. 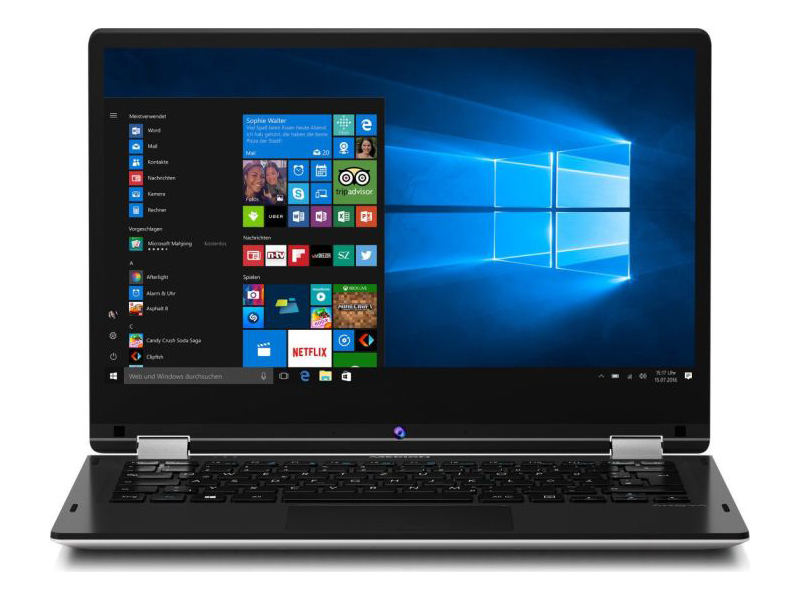 The software is the Windows 10 Home operating system with Windows Cortana and Windows Hello on board. Other apps are preinstalled. The main computing unit is an Intel Pentium N4200 processor (up to 2.5 GHz and 2 MB cache), which is accompanied by 4 GB of RAM. Compared to the previous Atom generation, the per-MHz performance of the CPU architecture was vastly improved and the graphics adapter was improved as well. With 64 GB flash memory, the user does not get much storage for data. However, the storage capacity is expandable via MicroSD card. As for graphics, it has an Intel HD Graphics 505, which is an integrated low-end graphics adapter with DirectX 12 support which can be found in some ULV SoCs of the Apollo Lake series. Non-demanding games should be playable with these graphics cards. The convertible has a good keyboard, the housing of the stroke is sufficient. The back pressure is okay even if the keys are a bit slippery. Since the fingerprint sensor is integrated into the mouse replacement, user lose some touchpad surface. For the fingerprint reader to login works perfectly and very fast. As wireless networking is possible via Bluetooth 4.1 and WLAN ac module. 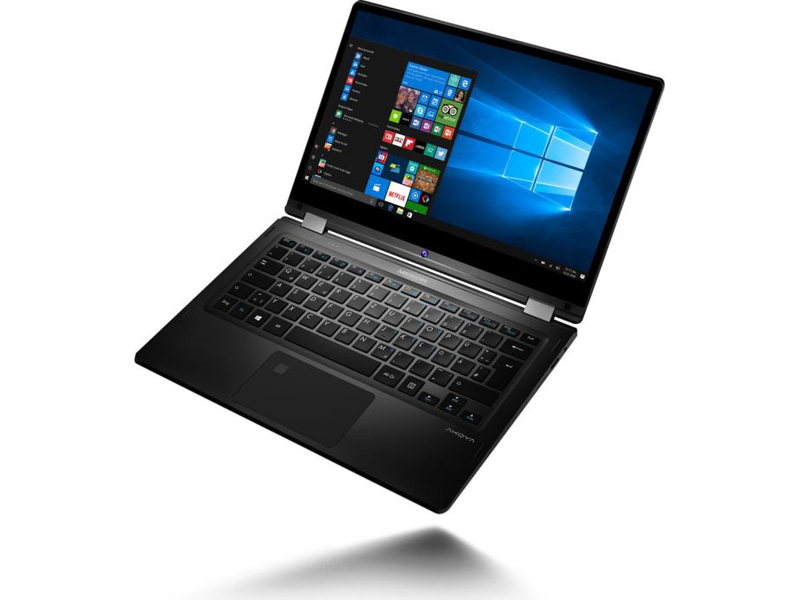 Connectivity options include a USB 2.0, a USB 3.1, 1x USB 3.1 Type-C including DisplayPort, an HDMI port and a combination audio port. 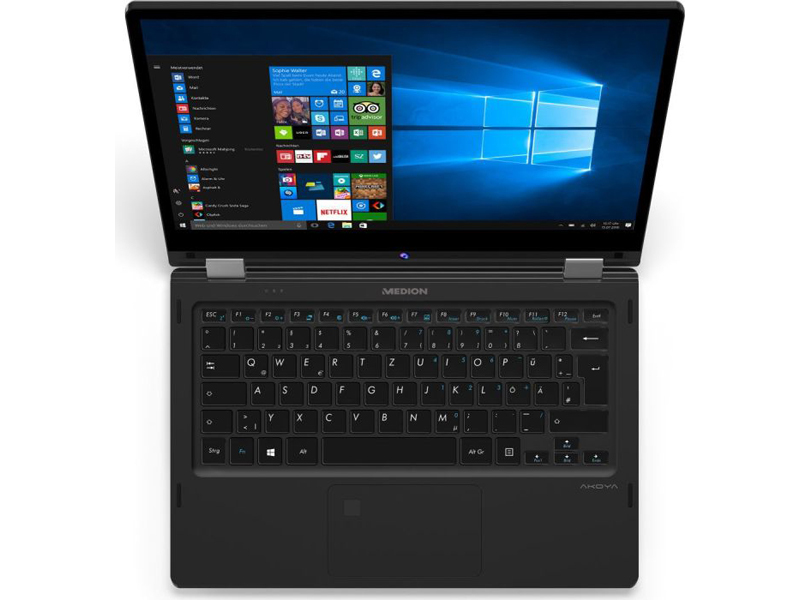 The Akoya E3216-MD61800 is another ultraportable laptop made for running light applications and document editing tasks. 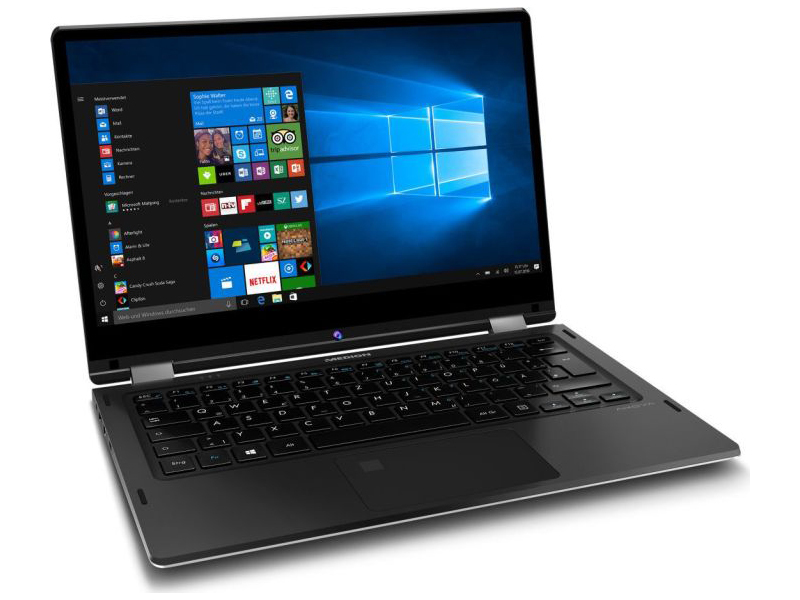 It has a small storage space and users will have to rely on external drives or cloud storage space for storing more media files and documents.